RVnGO is America's best marketplace to find RVs to rent in Nebraska. Find your RVnGO! Standing Bear Lake, named after the well-known Ponca Chief Standing Bear, is a day-use-only prevalent fishing spot. Many campers from the Midwest visit the Standing Bear Lake, to catch bass, roost, and trout, as well as hike, bike, and picnic. In the winter, guests can ice skate on Standing Bear Lake. This spot is also known for its one of a kind remote control plane flying field. There are campgrounds close-by that can house RV rentals in NE, offering full hookups and electrical amenities. Made by a volcano more than 12 million years ago, this archeological site has uncovered the fossils of both large and small creatures, among them vertebrates like stallions and rhinos. A recommended first stop is their interpretive display and fossil preparation laboratory, where you can ask paleontologists about their work. With 360 acres of rugged rangeland, the park hosts nature trails to view the geology of Verdigre Creek Valley and see new discoveries which continue to be unearthed at the Ashfall Fossil Beds State Historical Park. Niobrara State Park is an outdoor experience with many activities. Wranglers lead horseback trail rides, there is a modern swimming pool, 14 miles of hiking trails, bird watching, and nature study, fishing in the nearby rivers or just laze about in the shade where the Missouri and Niobrara rivers meet. The wildlife area is also the home to the White-Tailed Deer, so make sure to take a camera on your hikes as you will probably run into a couple on your trip. Best of all it's RV rental friendly with electrical hookups. Situated around 22 miles from Omaha, the West Omaha KOA is a standout camp for your RV rental in Omaha, Nebraska. It is a well-known campground and has every one of the conveniences you might need for a RV rental in Nebraska. It has 70 accessible spaces, 40 of which are full hookup spots with yards, tables, and BBQ barbecues for an RV camper rental in Nebraska. Services and amenities include a swimming pool, play area, recreational hall, bicycle rentals, shuffleboard, horseshoes, pedal trucks, mini golf, open air games, lunch room, fresh food, wi-fi web access, satellite TV, self-serve RV wash, restrooms and showers, and laundry rooms for your RV trailer rental Nebraska. Like most KOA spots, West Omaha KOA is incredible for families! Perfect for a RV rental in Lincoln, Nebraska, Camp A Way is an award-winning campground found only a couple of minutes from the center of the city. It has 91 accessible full hookup spots with tables, BBQ flame broils, fire rings, and space for slideouts for a Class A RV rental in Nebraska. Services and amenities include wi-fi web access, digital TV, heated pool, play areas, outside games, horseshoes, whirlpool, food trucks, bicycle rentals, game room, cafe, RV supplies, restrooms and showers, laundry rooms, and self-serve RV wash for your RV rental in Nebraska. Appreciate quality time with the family at Camp A Way. The city of Kearney is frequently alluded to as the "Sandhill Crane Capital of the World." It is known to be a stop for around 500,000 sandhill cranes migrating from southern hibernation areas to northern breeding grounds. The Crane Watch Festival happens in late March, and many visitors come to Kearney to watch this stunning occasion. In addition to crane watching, you can also partake in instructive and fun activities for the family, loads of food, and the eagerly awaited Miss Crane Watch Festival Beauty Pageant. Winner of two Nebraska State Pinnacle Awards by Nebraska Festival and Events, the Wayne Chicken Show has been a custom since 1981. It is a thrilling occasion held each July in the city of Wayne. It includes an insect market, pie, and frozen yogurt market, chicken specialties and stores, wine sampling, egg roulette challenge, the world's biggest Chicken Dance, concrete chicken auctions, chicken games and challenges, firework presentation, and many other chicken events. Get your fill of chickens at the Wayne Chicken Show! There's no clucking about it, if you want to enjoy a beautiful state with unique places to see and attractions to explore, Nebraska is calling you. 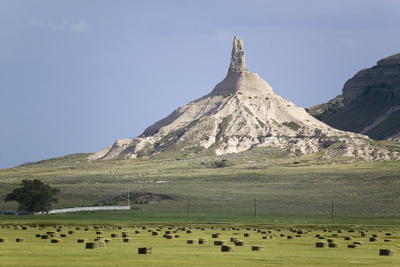 Lease a RV to Nebraska at RVnGO and make the most of its natural landscapes and historical sights!